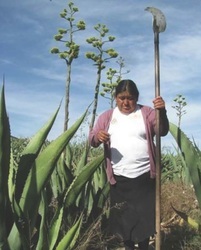 Organization name: Ñepi Behña, A.C.
Agave fibers are used to make bath scrubs. 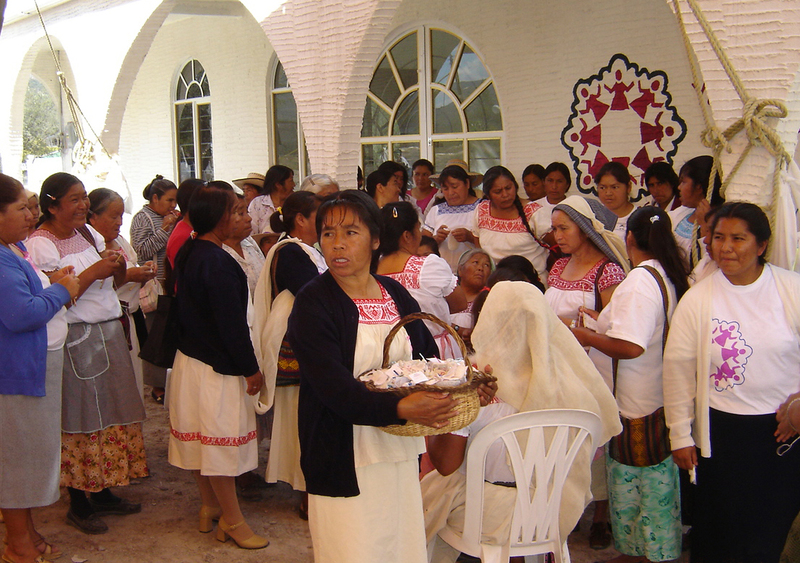 Ñepi Behña (“Woman with Dignity in the ñähñú/otomí language) was founded to support indigenous women who live in the Valle de Mezquital area of Hidalgo. 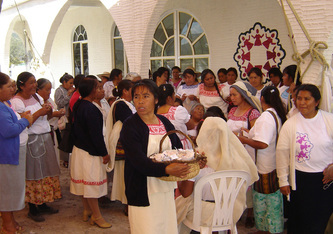 Valle de Mezquital is heavily populated by women as many husbands migrate to the U.S. Some of the women run their own cooperative called Ya Muntsi Behña (“Women Together”), which works with The Body Shop (which sells “natural, ethically produced beauty products”). 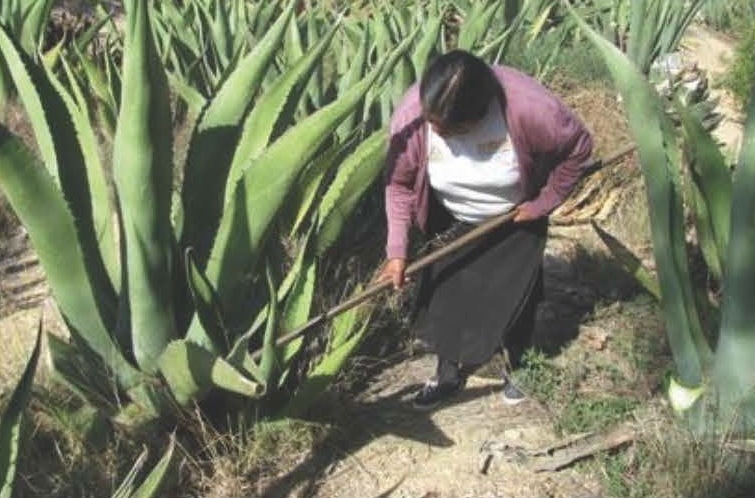 Over ten years ago, The Body Shop met the women from Valle de Mezquital and saw all the products the women could create out of agave fibers, a natural resource that was locally cultivated. The Body Shop saw great potential in the women and in this environmental-friendly material to create bath sponges. Today, these sponges are now sold in 2,000 of their stores around the world. 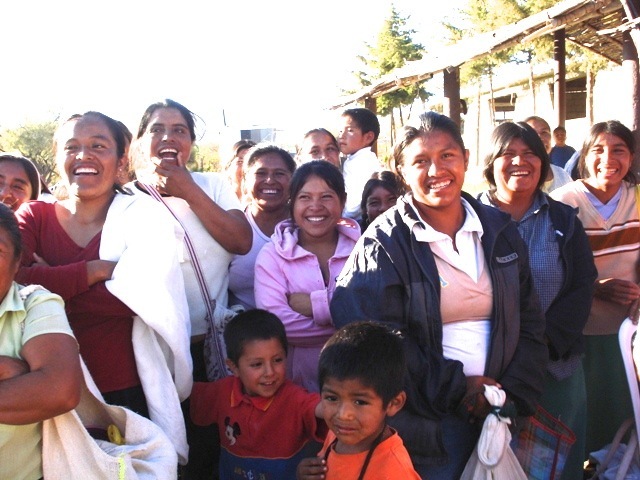 Since forming the cooperative, the women members have created innovative ways to ensure that they make the most out of their cooperative – like starting saving groups where women could save the income being generated through their work. Over the years, through the strength of the cooperative and the gender equality workshops that Ñepi Behña has facilitated, women are recognized as economic providers and men’s attitudes are changing. 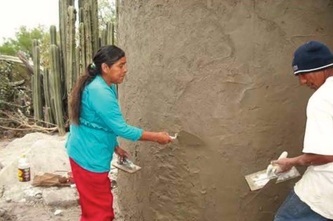 Project Name: Women working for sustainability and good living/right livelihood MUJERES TRABAJANDO POR LA SUSTENTABILIDAD Y EL BUEN VIVIR Note: IF provided only part of the funding for this project. ​Objective 1: Continue to promote healthy and sustainable food consumption for women and their families by promoting backyard production and care of natural resources. Activities: Building backyard modules of appropriate and sustainable technologies for 4 more families. 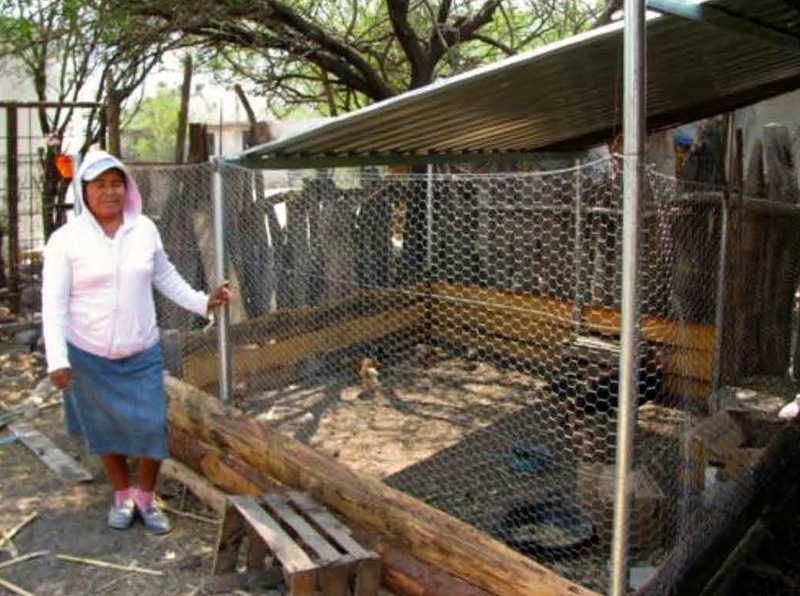 Each includes a ferro-cement cistern for water storage, a fuel-efficient wood stove, animal husbandry (chickens), and production of organic compost. Improving the production of gardens, by implementing irrigation, protection from frost and hail, and increased inputs for production of organic fertilizers and insecticides. 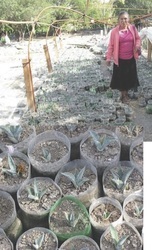 Demonstration, low-cost, drip irrigation systems were constructed. These systems illustrated how water could be stored in ferro-cement cisterns and utilized for continuous irrigation of gardens. 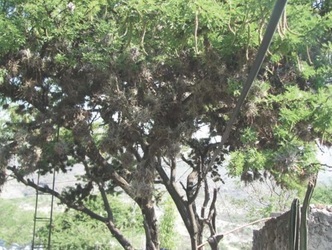 This type of irrigation system is a more sustainable alternative because the region has serious problem of water scarcity and pollution of existing irrigation water systems in communities that practice flood irrigation that erodes and salinizes the land. A workshop for producing fertilizers and organic insecticides was held with 6 beneficiary families of the backyard modules as well as other interested women. The workshop included training on how to use the best combination of vegetable plants, herbs and aromatic flowers as a natural means of preventing pest infestation. An additional 6 backyard modules with 6 new families in the project were implemented. 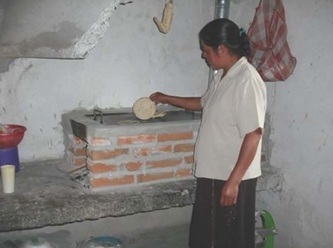 These included support for the construction of ferro-cement cisterns and fuel-efficient wood stoves, with the advice and monitoring of all families. Workshops on the use and production of organic compost were also conducted. These included training on how and when to apply the compost to gardens and at specific times of growth for the different vegetables. 6 modules were implemented and supplemented with another project encompassing 14 families in 2015. Installation of one educational garden/orchard adjacent to the office of the coop using native seeds and producing seedlings for distribution. 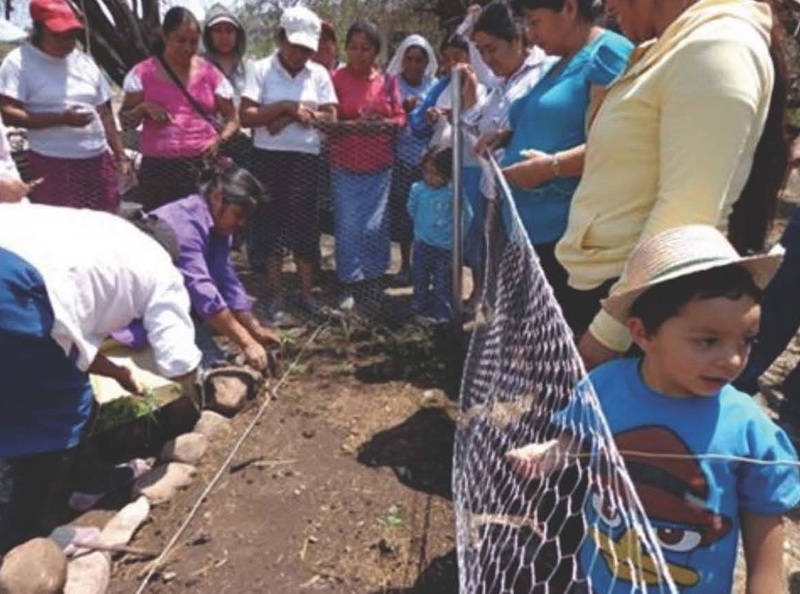 A nursery and educational garden/orchard was installed to promote the use of agro-ecological strategies for food production in family backyards. The construction of this nursery and educational garden/orchard allowed women who were participating in the project to observe and learn strategies to produce vegetables throughout the year, even in seasons of drought, frost and heavy rain. 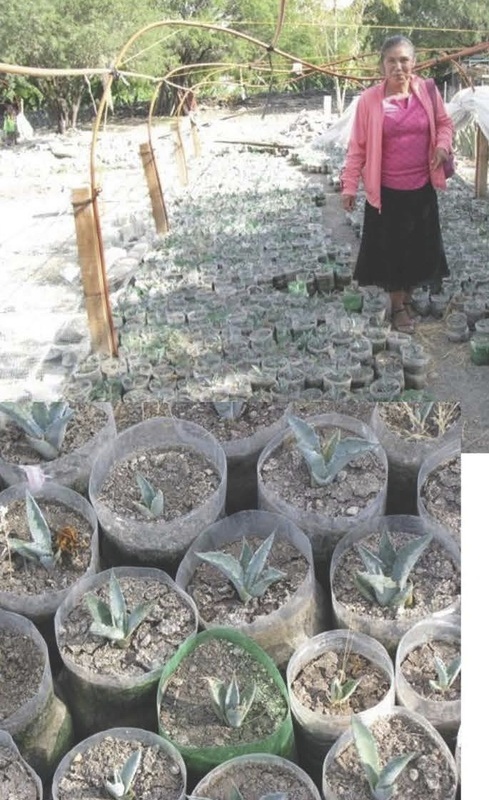 A planting bed was created for the recovery and production of organic seeds for locally produced food crops and other plants in the region. 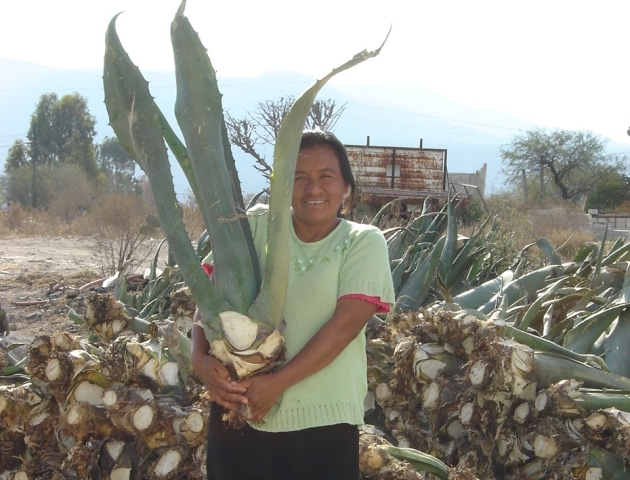 Organic seeds for planting in home gardens were distributed to women with the goals of improving the sustainability of family gardens and improving the quality and health of family food production. 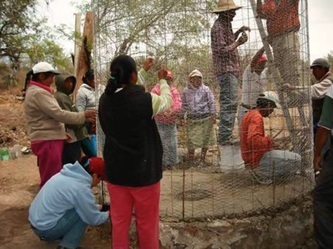 More women have been appropriating the agro-ecological strategies now being promoted in the cooperative’s demonstration educational garden/orchard. 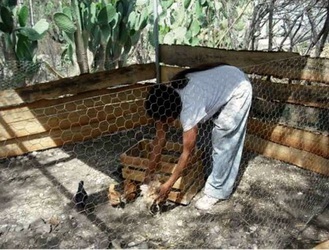 The garden is open to any interested women and they are supplied with support to acquire the materials to implement these agro-ecological strategies in their home garden. 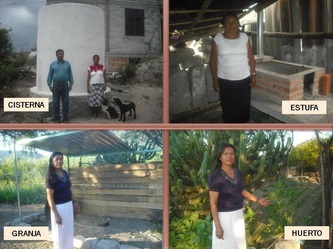 There is already a revolving fund to promote the purchase of inputs to implement these agroecological techniques with members of the cooperative in their home gardens. Objective 2: To strengthen economic alternatives to diversify the production of items with inputs from the region, for local market and fair trade markets, where the participation of women and young people is promoted. Training for making soaps with herbs and/or fruits of the region was conducted for women and young girls. A workshop was held to explain how to make soap using natural oils, soda and herbal essences. About 75 soaps were tested for possible sale in the future. 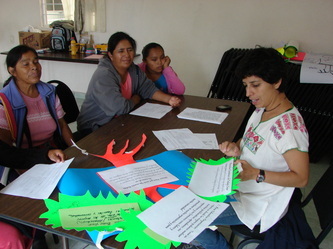 The workshop was attended by 10 women. The soaps were tested in the local and fair trade market with some success. 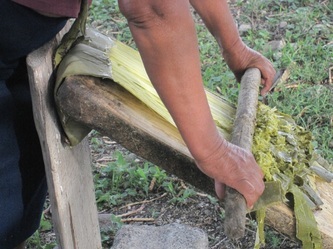 A follow-up workshop on soap making was scheduled for July 2016 to promote the use of herbs unique to the region in the soaps to give greater meaning and value to the product. Granada, prickly pear, mesquite, maguey, aloe vera or other desert plants that have specific properties for the skin are being considered. 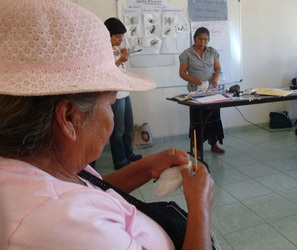 ​ In December, a workshop was conducted for training in how to make soaps. 25 soaps with almond oil base with orange essence were produced and 25 with olive oil base with peppermint essence were produced. Of these, about 30 soaps were sold at a price of about $2.50 each. 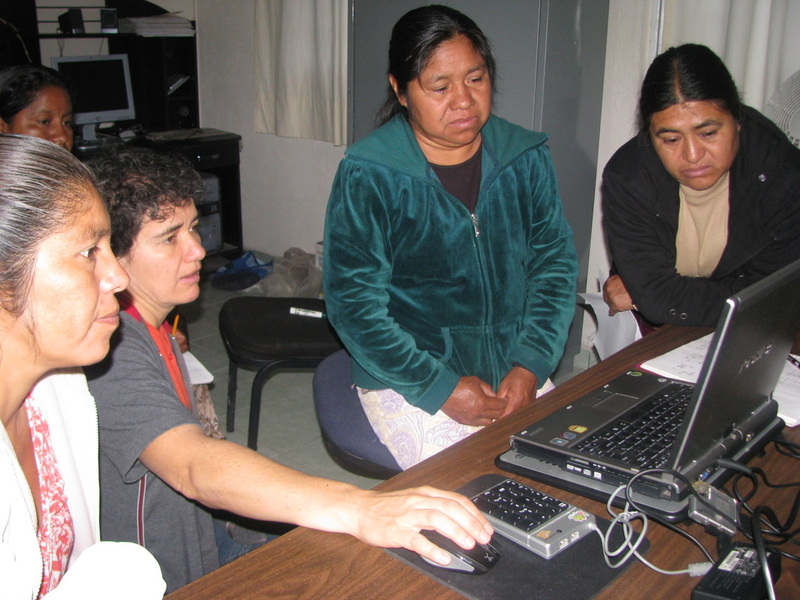 Project description: Beneficiaries are members of the Ya muntsi Behña (Women Together) cooperative. They make natural fiber sponges that are marketed internationally, including by the Body Shop. · Appropriate and sustainable technologies for 7 families. 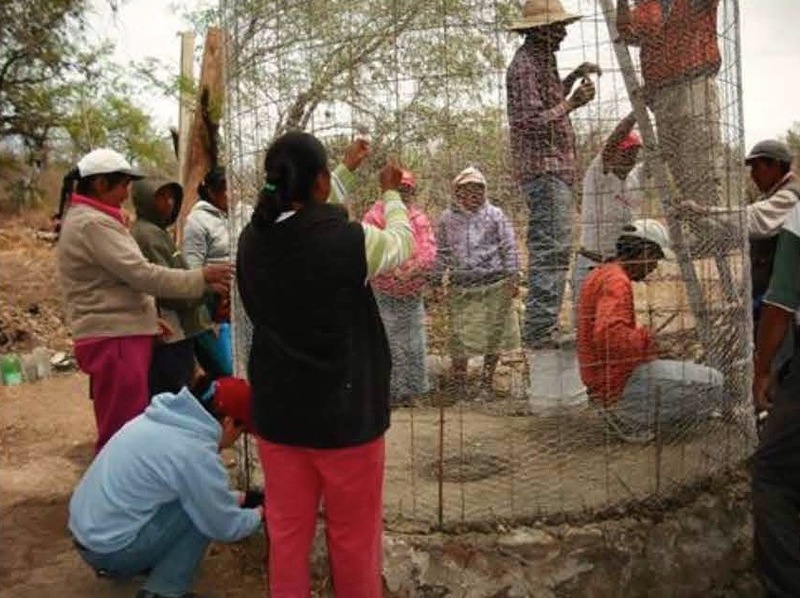 Each includes a ferro-cement cistern for water storage, a fuel-efficient wood stove, animal husbandry (chickens), a garden for food production, and production of organic compost. 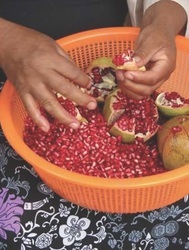 · A workshop on backyard production, based on local knowledge and local spices. 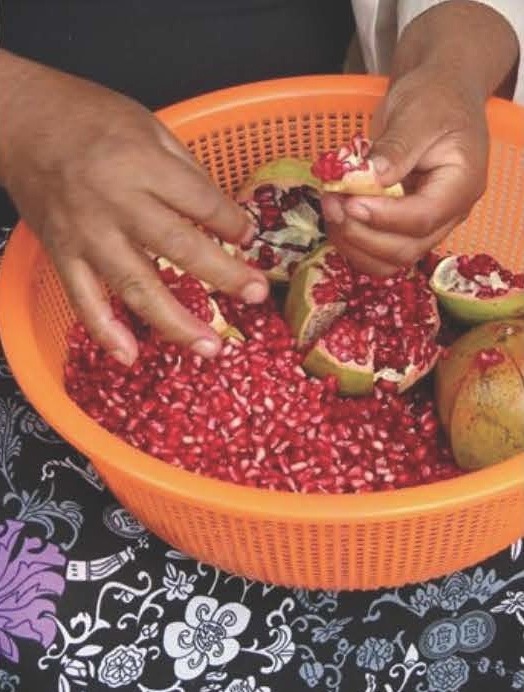 · A workshop on production and canning of local fruit and vegetables. 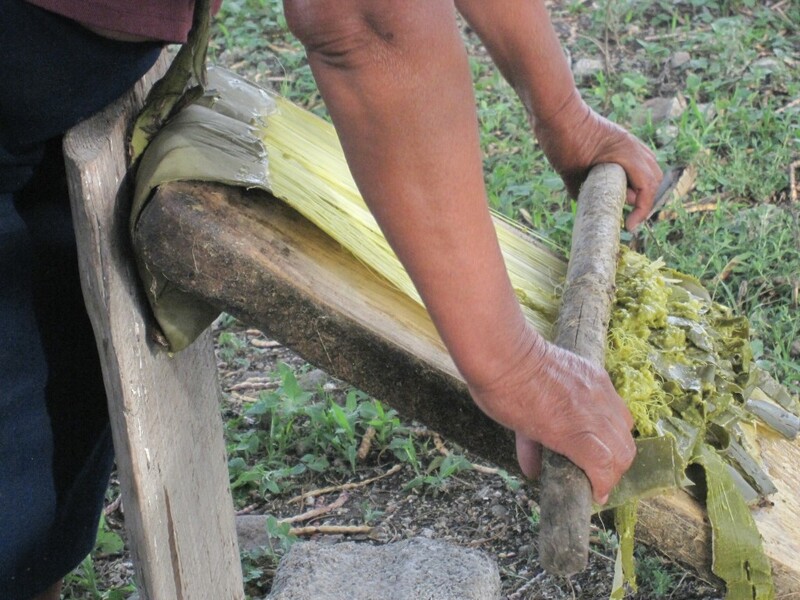 · A workshop on production of soap made from local plants and herbs. This is new. Their hope is that they might achieve a quality of production that would permit the marketing of the soap through the same national and international outlets through which they currently sell the sponges. 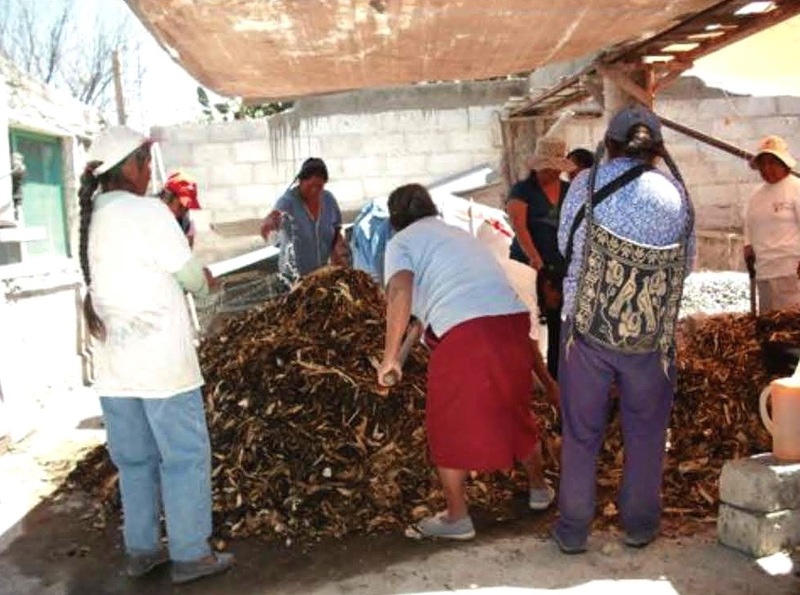 2013 Project Report: Project activities successfully focused on promoting the use of appropriate and sustainable technologies for the project participants to improve diets, increase family income, and improve marketing opportunities for local food products. *They completed the appropriate and sustainable technologies projects for 6 families. 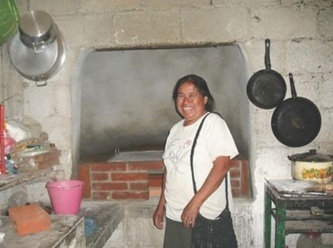 Each included ferro-cement cisterns for water storage, fuel-efficient wood stoves, animal husbandry (chickens), gardens for food production, and production of organic compost. 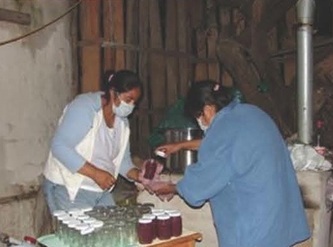 * Workshops were offered on the production of jams from local fruit. 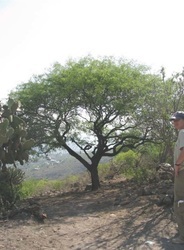 * In the reforestation program for the maguey and other native species, a greenhouse was built (not part of the Maguire grant) and maguey seedlings were planted. They will be provided to the members that need to increase their fields of maguey. Planting time is January. * The women are admired for their work and what it contributes to the family, and they are supported by other family members. Send questions or comments about the website to the website administrator.